Despite several decades between sequels, this story hasn’t missed a beat. JJ Abrams grabs you by the hand and takes you on an amazing adventure that crackles by at lightning speed. Before you know it, the ride is over, and you’re ready for the next chapter in George Lucas’ saga. Obviously, grand spectacle and glorious special FX have been promised, but it’s all the other things FORCE AWAKENS does right that is so unexpected. The story and characters work, based on familiar mythical tropes of the hero quest (Google: “Joseph Campbell”), just like the original trilogy. 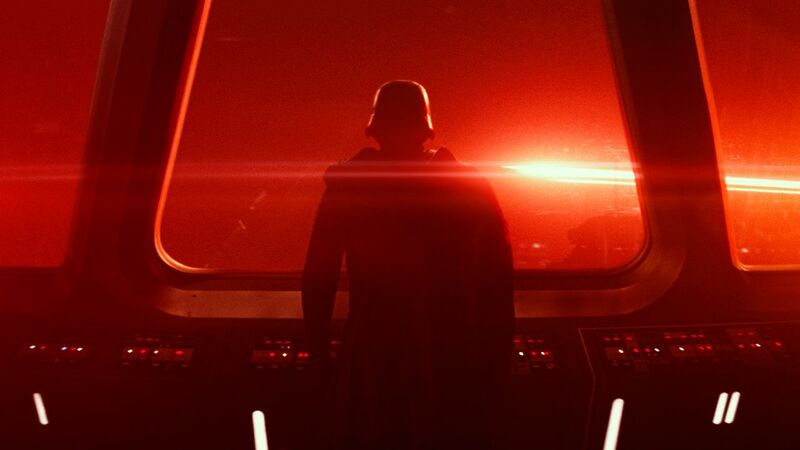 Most importantly, Abrams helms a STAR WARS movie that feels like a STAR WARS movie. Along with the excellent pacing, the tone is another exceptional story-telling quality Abrams nails. With Poe’s (Oscar Isaac) introduction we instantly know what type of movie we’re in for – like the trailer said it definitely feels like “We’re home.” In just one scene it’s clear: Poe is brave, and aggressive, yet balanced by his wit. While FORCE AWAKENS is a lot of fun, with several loud laughs, it never gets silly to the point of rolling your eyes – even when the screen is littered with aliens. There’s never a dull moment; however, this also means these historical and philosophical elements, like Jedi Temples and The Force, take a back seat. We don’t have a Yoda, or someone like the Emperor delivering grandiose speeches, so it’s a blessing in disguise regarding the pacing, which stands on the solid foundation of Lawrence Kasdan’s story-telling structure. Each scene seems to occur naturally, instead of feeling like we’re hopping all over the place. Abrams works with spectacle to not only excite us during action sequences, but also to set the stage with new characters. The director lets quiet scenes breathe, but also takes our breath away in the same moment – like Rey eating lunch in the shadow of a massive AT-AT relic. Actually, every new hero (and villain) has an astounding introduction. The action is also filmed as if it’s really happening, even when it’s a completely CGI spaceship battle. The audience always knows where they are, unlike some contemporary action flicks with a flash-flood of close-up editing. Like the original trilogies, Abrams doesn’t feature Jedi running around fighting armies or herds of droids. Lightsaber duels should be held back to ensure they retain their excitment. The original Episodes mainly restricted sabers to Jedi and Sith fights, not against masses of enemies. For the most part, Abrams follows this guideline, making us anticipate each lightsaber appearance. Legendary composer John Williams returns for this Episode, providing new themes for every new character. The film could easily have milked nostalgia even more, relying on the original score from decades ago. Instead, we have several new compositions to enjoy, specifically the tender piano stirrings of Rey’s theme (for the first time). 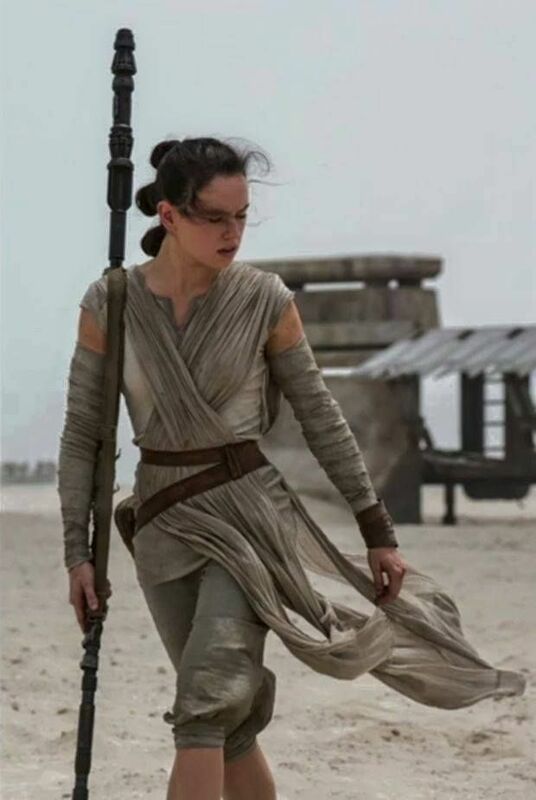 Rey is our hero and FORCE AWAKENS is her story. Without ruining her arc, it is completely satisfying. Daisy Ridley delivers a career-making performance, painting the screen with a variety of intriguing brushstrokes. Compelling with every emotion, Ridley breathes life into her character, in the process becoming every young girl’s new favourite hero. John Boyega (the scene-stealing hero, Moses, from the UK cult classic ATTACK THE BLOCK) as Finn earns a lot of laughs. His character is also dynamic, shifting emotions as the story progesses, and becoming a hero along the way. Charismatic like Han, Finn lies to his advantage, but he’s also noble – as is demonstrated early. Since this is the spoiler free edition of the review, further exploration into characters will be limited to keep the surprises in tact. Rest assured, not one character disappoints. 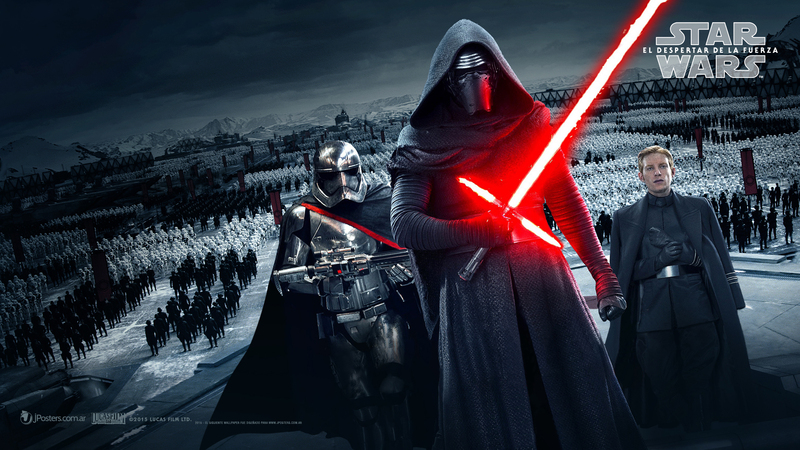 Kylo Ren will be the most talked about, traversing several unexpected arcs. Adam Driver delivers a careful performance, with subtle layering and deep latent meaning. There is much to explore with both Driver and Ren in the spoiler article (coming soon). For now, let’s just say he couldn’t be on screen long enough. Ren is complex enough to invest in. There’s just as much new aliens and characters to talk about as returning ones. 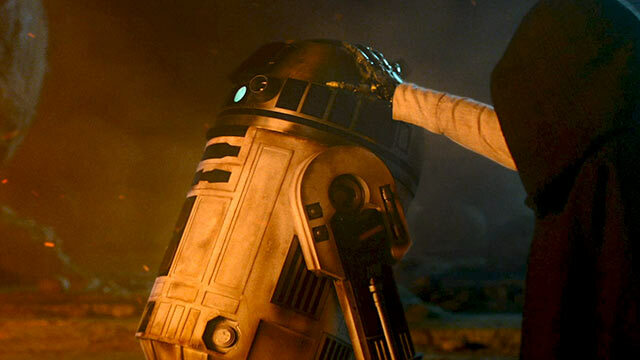 Fans will notice droids from long ago, or familiar faces in the supporting cast. Han Solo, Princess Leia, Luke Skywalker, as well as Chewbacca and the droids also get explored. While the focus is on the new story, fans of the continuing saga will not be disappointed, as several threads weave together. 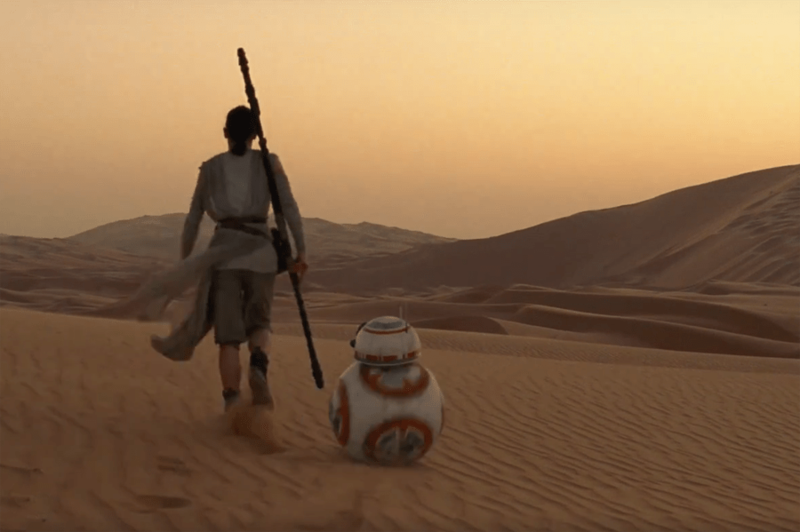 There are several new mysteries to puzzle over until EPISODE VIII, and several which get answered (surprisingly, matter of fact-ly). This nerd already has several theories about these mysteries, what’s next, and more (coming soon in special spoiler article). The most important quality of the FORCE AWAKENS experience is never once wishing a scene would end or hurry up; furthermore, hoping the movie would never end. This is a rare occurence at the cinema today. Don’t take it for granted. Enjoy every second of EPISODE VII. “As long as there is light, there is hope.” This quote refers to one thing in the movie, but also hints at another. Taken out of context, the hidden parallel rises to the surface easily. As long as there are Jedi, there is hope. The adventure of our heroes is just beginning. Despite incredible anticipation and the Mt. 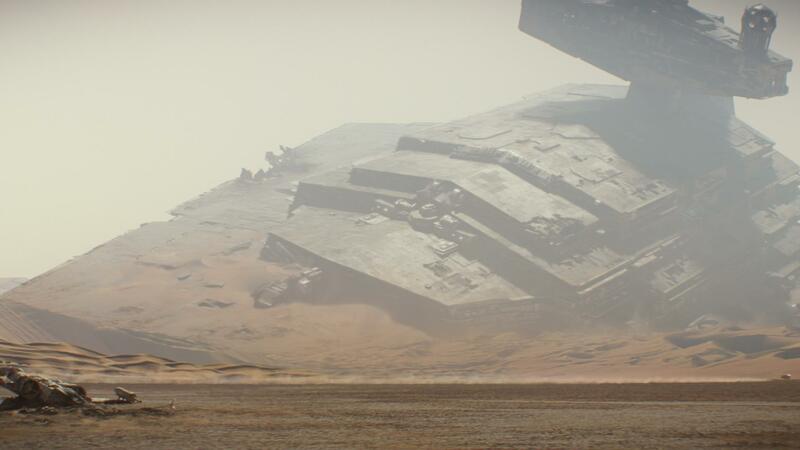 Everest of expectations, FORCE AWAKENS fully satisfied. Let yourself get absorbed by the myth, and get ready for a truly fantastic adventure. 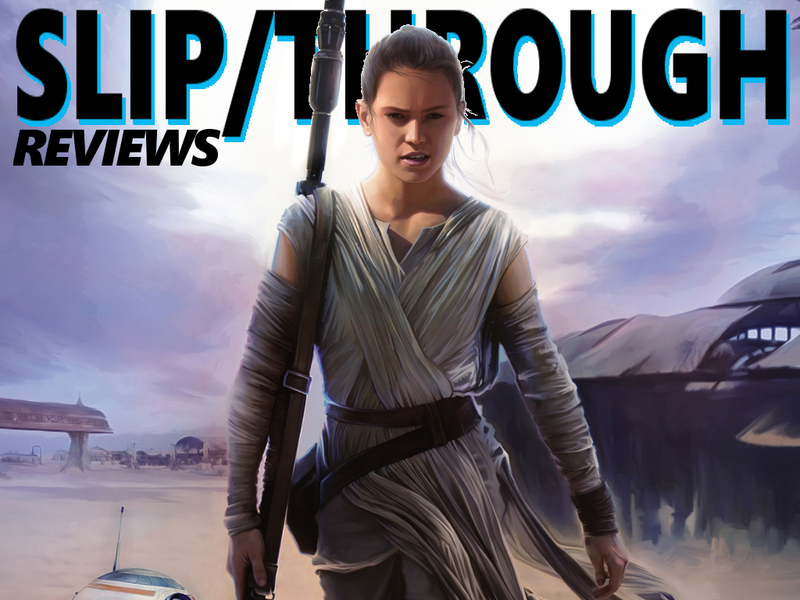 In depth review with spoilers – and a NERD THEORY article coming soon. Posted in best of, movie review, moviesTagged daisy ridley, episode 7, George Lucas, han solo, jj abrams, kylo ren, lawrence kasdan, luke skywalker, movie, movie review, NO SPOILERS, review, rey, skywalker, spoiler free, star wars, the force, the force awakensBookmark the permalink. Hahah I was looking for a grey patch of hair on Chewy, but nope. Ford brought back that same sly charm though. Thanks Dan. It definitely delivers on what you would expect. It’s a fun if familiar adventure that felt like a ride. Thanks for commenting buddy. Great review Dan and I love how TFA brings the joy and fun back to Star Wars but not to the jokey, lightweight level of the prequels, it’s got some good hard hitting moments, laughs, thrills and this is the Star War (or the Star War) we’ve all wanted for so long. I did have a fear that I wouldn’t like it that much but it lived up to the hype. Thanks for stopping by Doc. I was relieved there wasn’t any poop jokes or slapstick either. I liked your review too. Check it out folks. I didn’t love it, and I have no nostalgia since this is the only one I’ve ever seen. I liked Finn the best out of the new characters, although they’re all new to me. I was charmed by the Solo\Chewbacca story – I never guessed that they were equals and friends. I’m going to sick leave soon and Sean thinks he can nudge me into watching all the others! Couldn’t agree more… Can I get a Jedi memory wipe on the prequel stuff I do remember though. Force Awakens relived any of my worries right away with Poe’s introduction. excellent recap Dan! I loved this one and I cant wait to see it again with my sons next week. Looking forward to ur spoiler review cause there is so much to really discuss! Thanks, Rob! Your sons are going to love it. You’re lucky to experience this through their eyes as well. I hope they enjoy the same parts you do. And there is sooo much to discuss. So far I have a theory article up. In depth spoiler review coming soon though. 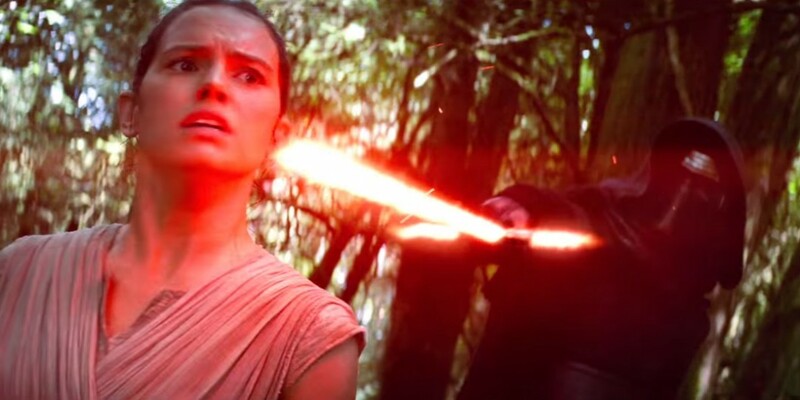 I can’t wait to hear your thoughts on FORCE AWAKENS (spoiler wise). I cannot wait to see this movie. Went to Star Wars when it first came out in the movie theaters all those years ago, and back then, that was quite a movie. After reading this review I can see this one isn’t going to disappoint – which is so cool!!!! There is a certain magic about Star Wars isn’t there. Without relying too much on nostalgia, the new Episode definitely brings that magic back. I hope you enjoy it buddy. Come back and check out the spoilers (coming soon) and nerdy theory post (up now). Thanks for checking out the review.